Empathy is possibly your most essential skill, yet many of us struggle with it simply because we were never taught how it works. You may also struggle with your empathy when it’s most crucial — when you’re in the presence of difference, trouble, or conflicting needs. In our increasingly pluralistic world, you need strong empathy skills, yet you also need strong self-care skills to balance your empathy for others with empathy for yourself. You need to develop not just empathy, but Healthy Empathy™ that supports you as much as you support others. Join empathy pioneers Karla McLaren, M.Ed. and Tino Plank, MSN, RN for an exploration of the groundbreaking Six Essential Aspects of Empathy model, and learn simple practices to nurture your empathy safely and mindfully — at work, in your relationships, and within yourself. Empathy is an essential skill in work and in life — and as it is with any skill, you need support to make sure your empathy works for you. You may experience empathic burnout if you don’t have the skills you need to maintain healthy and sustainable empathy. In this Friday and Saturday workshop, you’ll learn specific mindfulness practices, communication skills, and self-care skills to nurture healthy empathy at work, at home, and in all of your relationships. 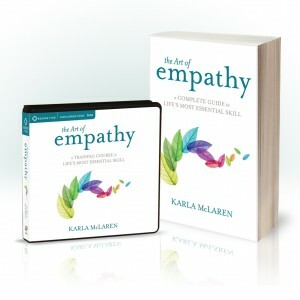 With the support of Karla McLaren’s groundbreaking Six Essential Aspects of Empathy model, you’ll learn many ways to access your empathy in your work and life. You’ll also learn how to maintain your empathy in challenging situations and in the presence of intense emotions. This fully realized model makes all of the processes in empathy easily accessible and manageable. 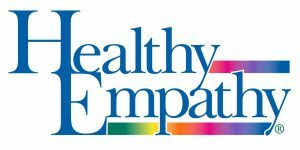 This Healthy Empathy™ workshop is open to students, elders, youth, artists, counselors, healthcare professionals, highly empathic people, or people who are struggling with empathy. Join Karla McLaren, M.Ed., author of The Art of Empathy, and Tino Plank, MSN, RN, who brings over three decades of clinical health leadership and process-improvement experience. Together, Karla and Tino have developed focused mindfulness practices, communication skills, humane process-improvement approaches, and self-care skills to make your empathy and care-giving intentional, sustainable, and healthy. Emotional skills and awareness to help your empathy thrive in challenging situations. A clear understanding of emotion work and its effect on empathy, communication, productivity, and health. Communication techniques to help make your empathy intentional, sustainable, and healthy. This workshop is open to everyone: students, elders, youth, artists, counselors, healthcare professionals, highly empathic people, or people who are struggling with emotions or empathy. All are welcome, and 5.5 hours of CE Units are available to Nurses, Social Workers, Psychologists, Counselors, MFTs, Chemical Dependency Counselors, and Educators (see below). Karla McLaren is an award-winning author, social science researcher, and empathy pioneer. 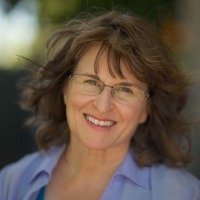 Her lifelong work focuses on her grand unified theory of emotions, which revalues even the most “negative” emotions and opens startling new pathways into self-awareness, effective communication, and healthy empathy. She is the founder and CEO of Emotion Dynamics LLC and the co-creator of the Healthy Empathy™ training program for health and healing professionals. For over twenty years, Tino has worked with Karla McLaren to develop the Dynamic Emotional Integration® process. 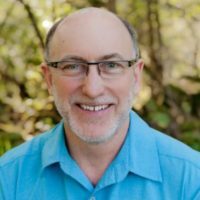 He has also been an instructor in classrooms and on-line environments for over ten years, and he is the co-creator of this Healthy Empathy™ training program for health and healing professionals. This workshop is co-sponsored by R. Cassidy Seminars, who offer 5.5 hours of CE credit to Nurses, Social Workers, Psychologists, Counselors, MFTs, Chemical Dependency Counselors, and Educators for Healthy Empathy™. The PDF below contains information on the CE granting organizations, workshop agenda, and learning objectives. These 5.5 hours of CE credit are available through R Cassidy Seminars at an additional cost of $40 per participant. Click here to register for CEs with Cassidy. East West Bookshop is handling registration for this event, and they allow for a full refund if customers cancel prior to 24 hours before the event. No refunds are given for cancellations less than 24 hours before the event (these customers are encouraged to give their ticket as a gift to friends).